Those ladies are nothing but trouble. 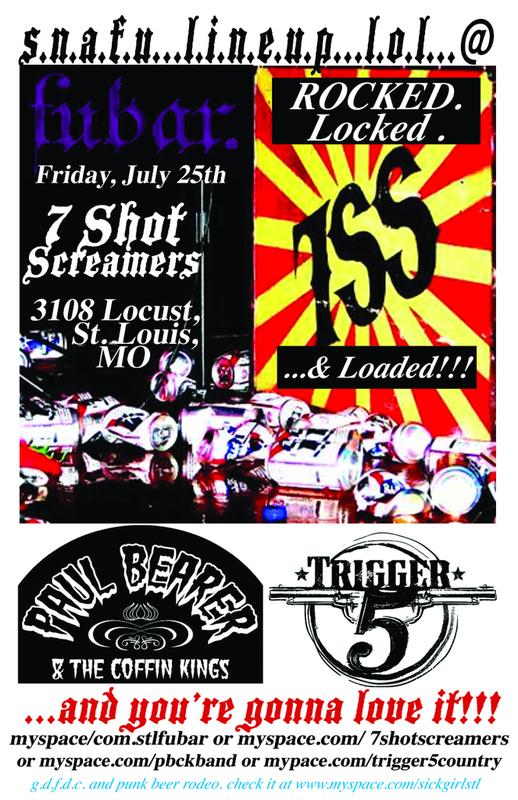 We’ll be playing this Friday, July 25 at FUBAR with Paul Bearer & the Coffin Kings and The 7 Shot Screamers. It’s a lineup made in heaven and baked in hell. High energy all night long so bring your iron lung. The show starts @ 9PM and we go on first, so don’t be tardy. 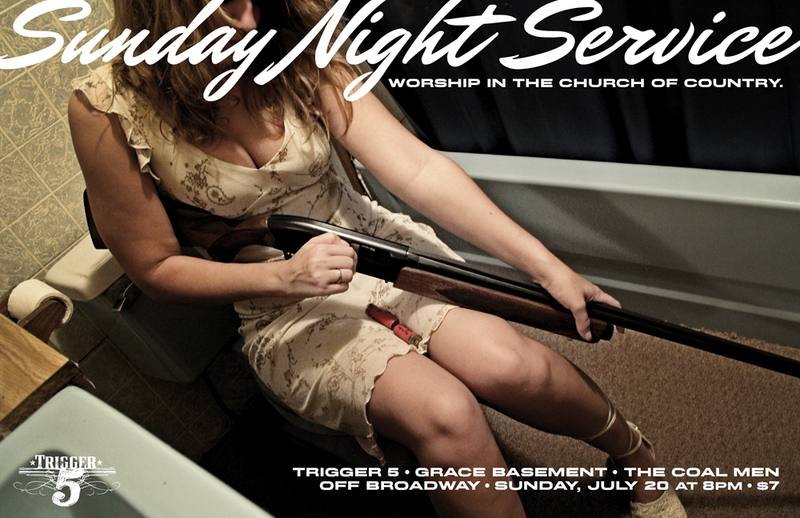 Come worship in the church of country this Sunday night. We’re talking Off Broadway at 8PM sharp. We’ll be performing with The Coal Men out of Nashville and a local outfit called Grace Basement. It promises to be a night of musicianship and mayhem. SATURDAY @ The Fiesty Bulldog on Laclede’s Landing as the unofficial afterparty for Live on the Levee. After Lonestar is finished with their business at Soldier’s Memorial, well begin ours around 9PM. 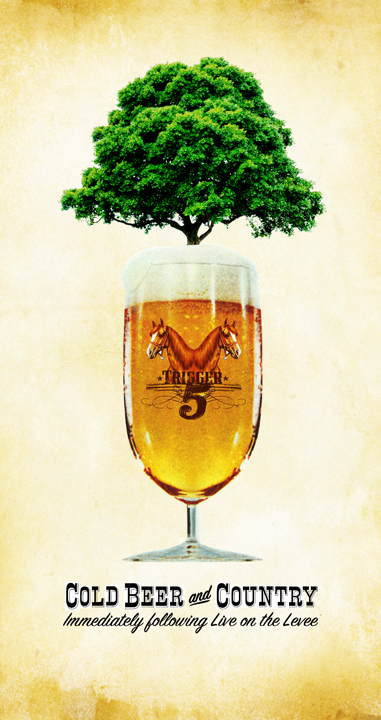 SUNDAY @ The Augusta Brewery, 2-5PM. It’s an all afternoon affair at our favorite Augusta getaway. We’ll be playing in the beer garden and whoopin’ it up for the fine country gentlemen and ladies.